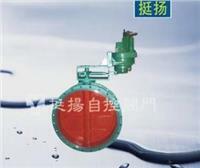 Product characteristic: Jing Ming products by regulating butterfly valve components and electric actuator assembly, electric actuator of electronic type electric type ( type DZ ), electric type ( type DP ), type DZ directly to the receiving instrument or a computer control signal, DP and servo amplifier supporting the use, can realize automatic regulation function butterfly valve parts, with large flow capacity, small pressure drop loss, open and flexible, compact structure, the products can be widely used in metallurgy, power, chemical and other industrial sectors as the fluid pressure, flow, diffusion and use. Non sealed type electric air control valve, electric air control valve, a sealing type butterfly valve. This product by regulating butterfly valve components and electric actuator assembly, electric actuator of electronic type electric type ( type DZ ), electric type ( type DP ), type DZ directly to the receiving instrument or a computer control signal, DP and servo amplifier supporting the use, can realize automatic adjustment function, butterfly valve member has large flow capacity, small pressure drop loss, open and flexible, compact structure, the products can be widely used in metallurgy, power, chemical and other industrial sectors as the fluid pressure, flow, diffusion and use. Application of temperature: normal temperature – 40 degrees to 250 degrees C.
Medium temperature: – 40 degrees to 450 degrees C.
High temperature – 40 degrees to 600 degrees C.
Packing: flexible graphite, asbestos, asbestos braid packing.